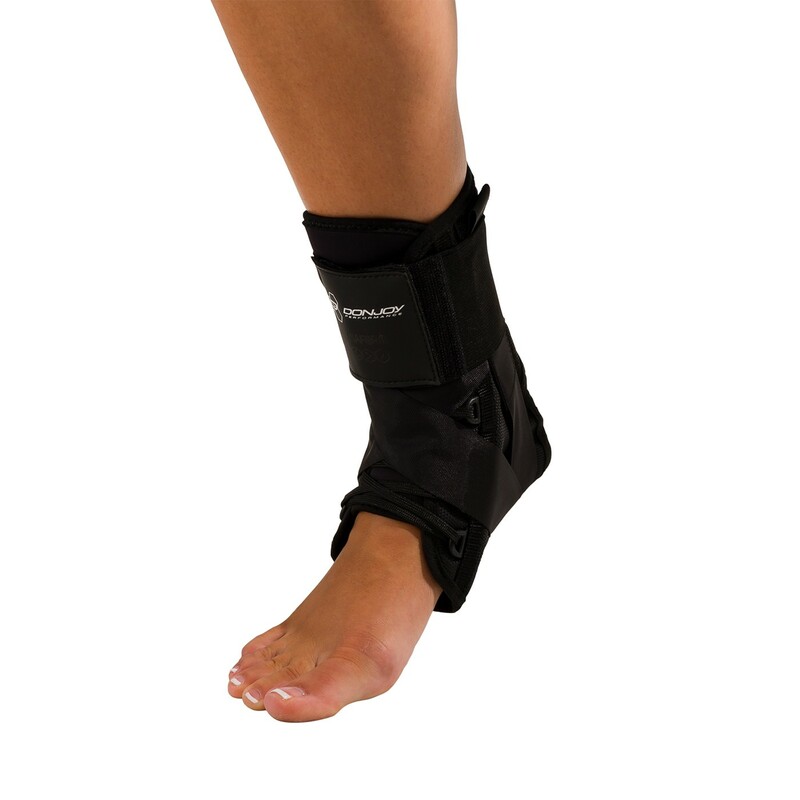 Low-profile, nylon lace-up brace to help prevent and recover from common ankle sprains. 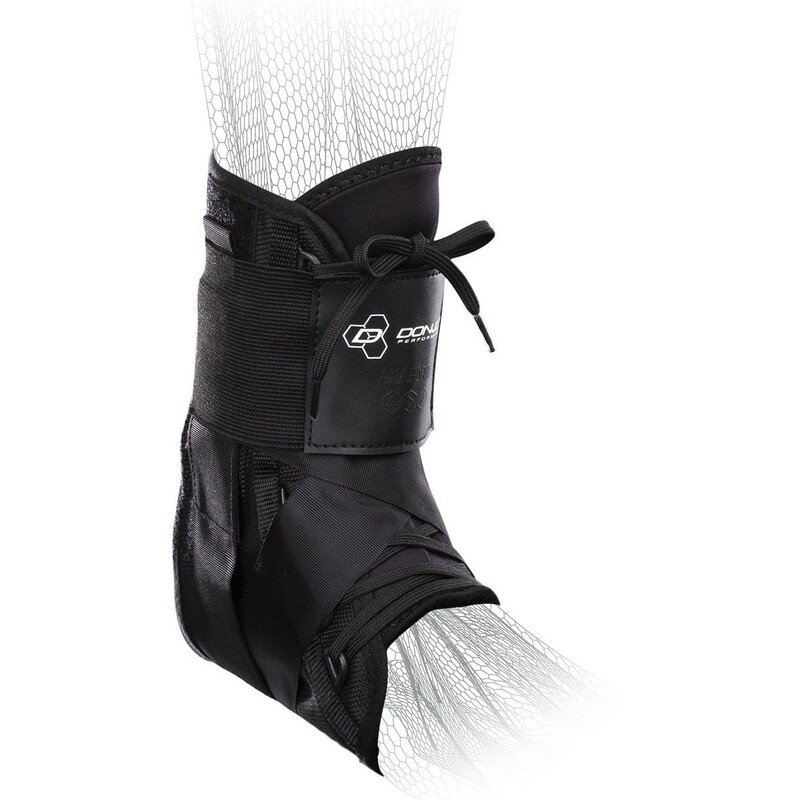 Our DonJoy Performance Anaform Lace-Up Ankle is a low-profile and durable nylon lace-up ankle brace with Figure-8 and circumferential straps for medial, lateral and arch support. It's designed to provide stability and take pressure off of the injured foot to speed up recovery and prevent future injury. 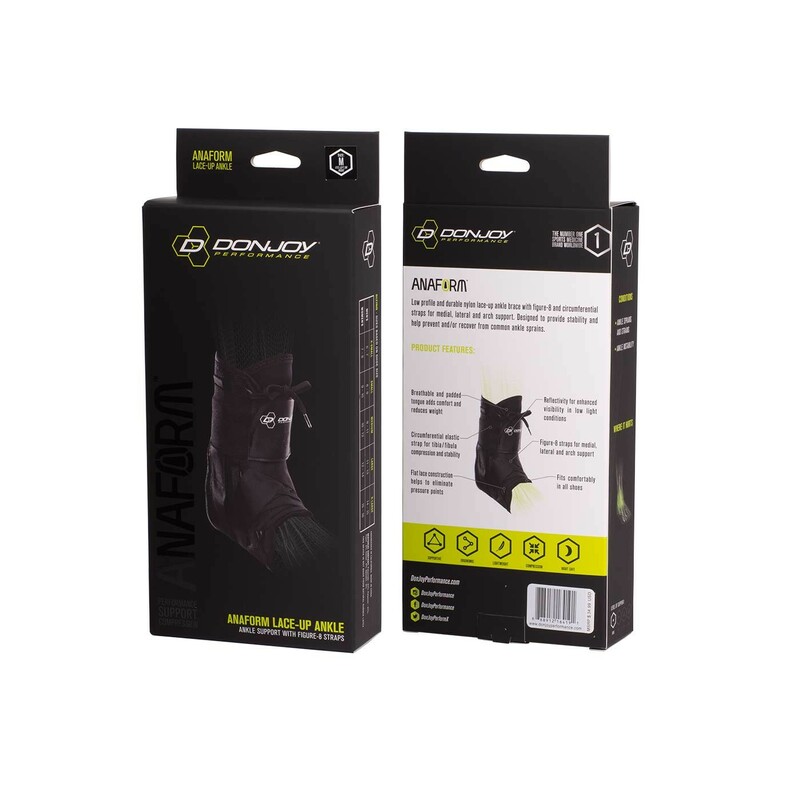 The Anaform Lace-up Ankle helps overcome ankle injuries associated with mild ankle sprains or strains, instabilities and chronic pain. Fits left or right foot. 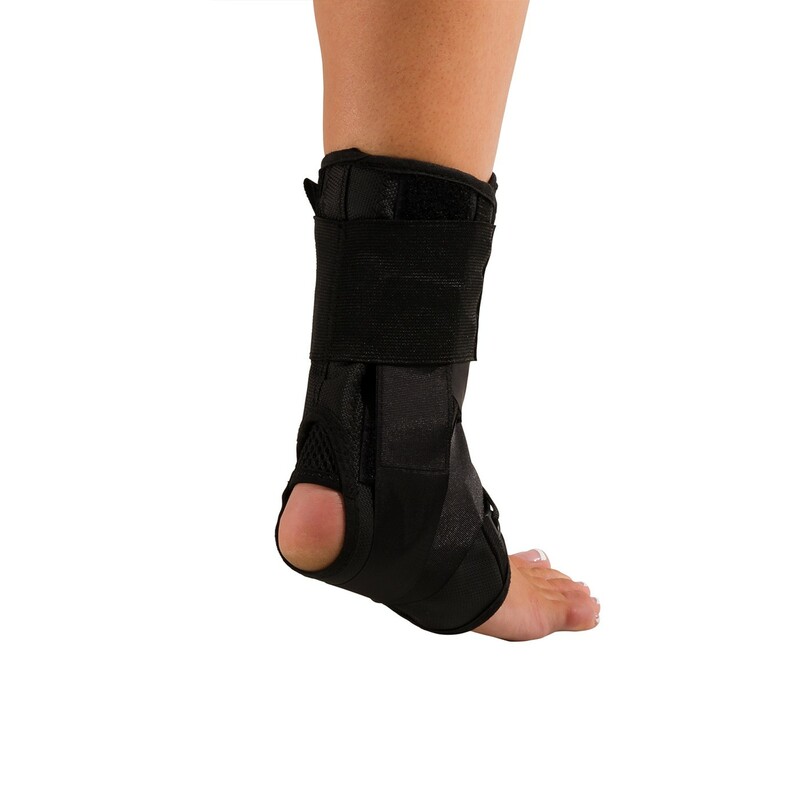 The brace has a comfortable fit and it's very light, providing a good amount of support. 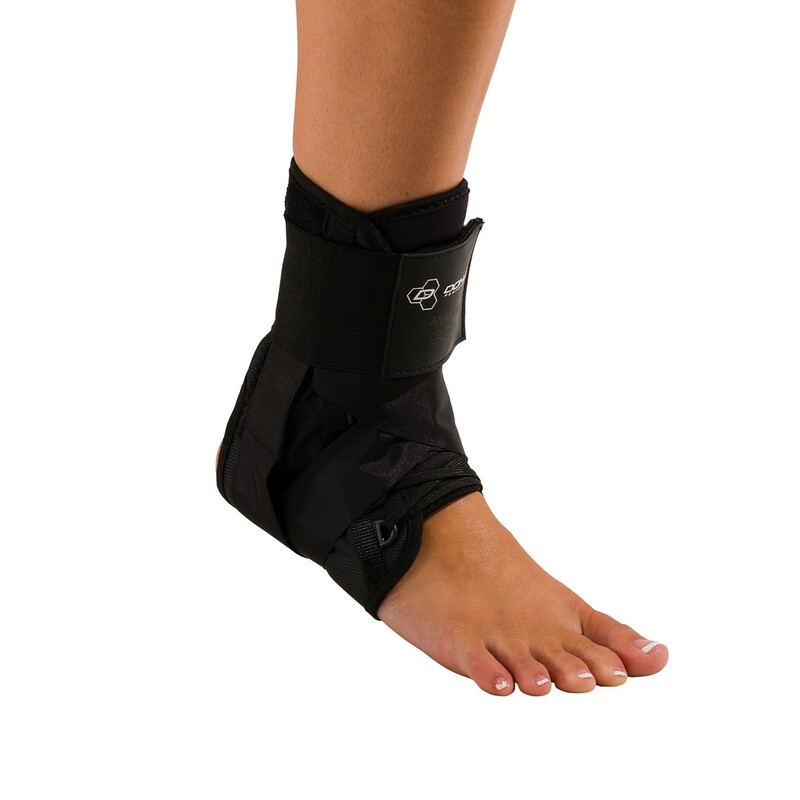 However, the brace can start to get loose if used for an extended period of time, which can get annoying because you have to readjust in the middle of a workout. As with every other Don Joy product that I have purchased. I am always impressed by the functionality, the quality and the price. Cons: The only wishlist item that I have would be to change the plastic eyelets on the edges of the brace so that they were sewn into the material itself like in most shoes. No big deal, but it would make lacing and unlacing faster and easier. Supplied by my orthopedic surgeon in response to a moderate sprain. I was impressed at the level of comfort and the relief it supplies. I have been using it for three weeks. The first few days I really needed the support badly, but now I just use it for comfort. It works so well I am considering another so I can use them for support when we hike. Pros: Great support, lightweight, comfortable for extended wear. Fits pretty easily in most shoes. Cons: Have to be careful to not over-tighten it so it does not hinder circulation. It fits very nicely on my daughters foot. We purchased this for my daughters ankle as a preventive measure. She says it holds the ankle securitly.